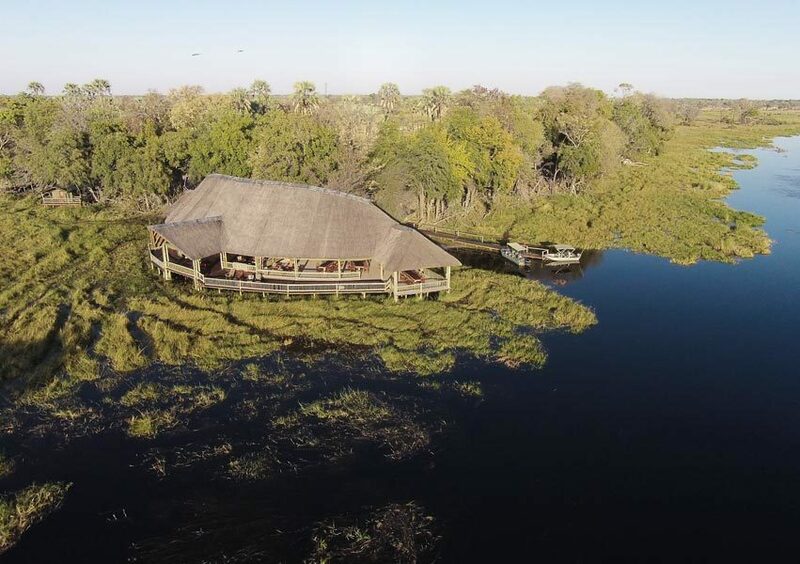 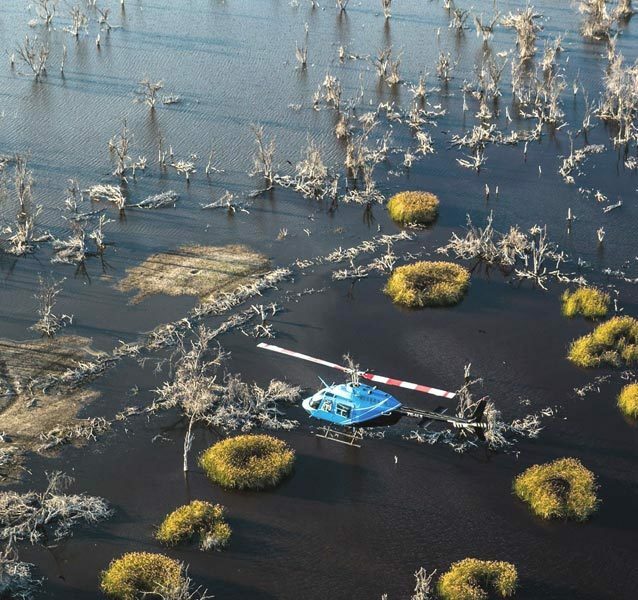 Moremi Crossing is an eco-friendly camp built on a palm fringed island surrounded by the Moremi's game-rich seasonal floodplains. 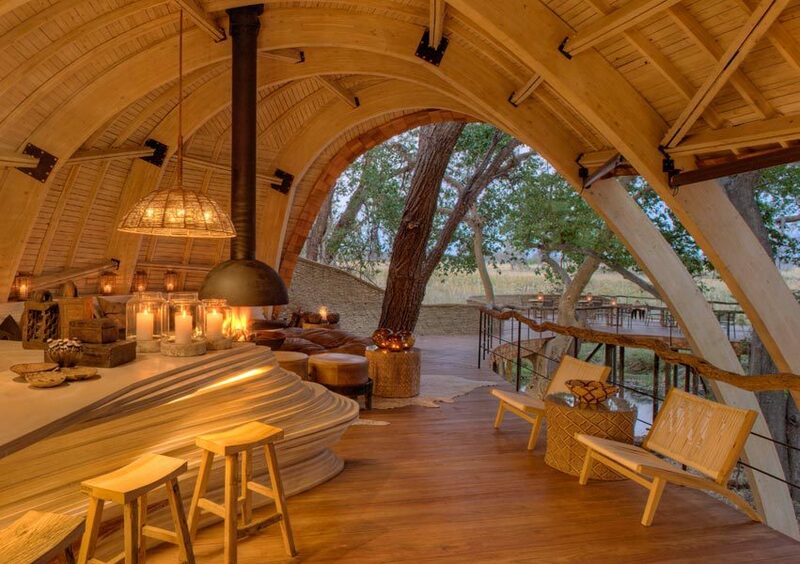 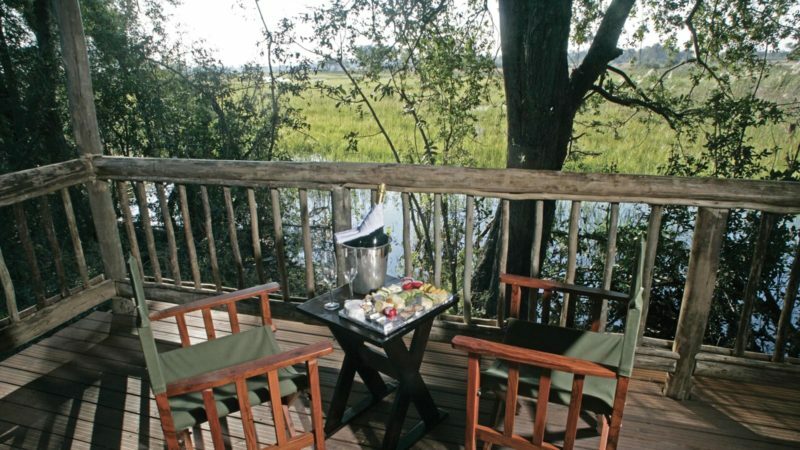 Overlooking Chief's Island, Moremi Crossing is a new style safari camp that combines luxury with simplicity. 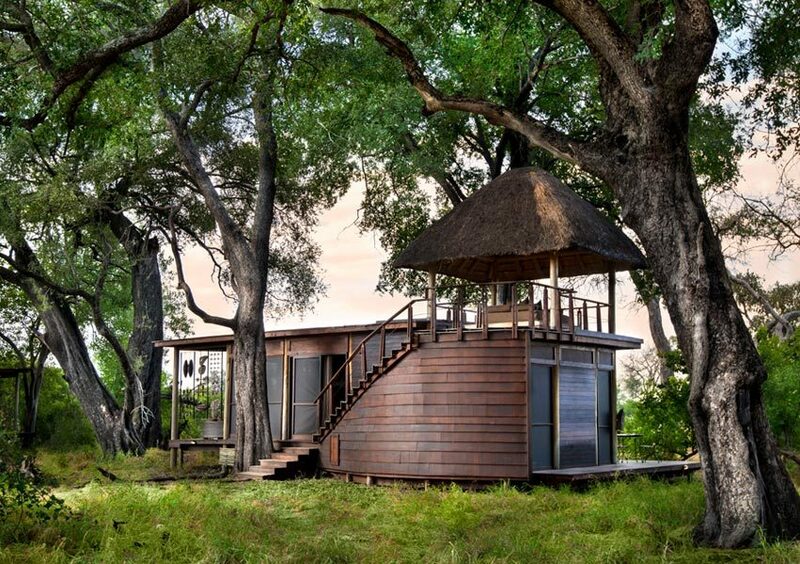 Moremi is a 100% eco-friendly development that features the latest in solar and waste disposal technology. 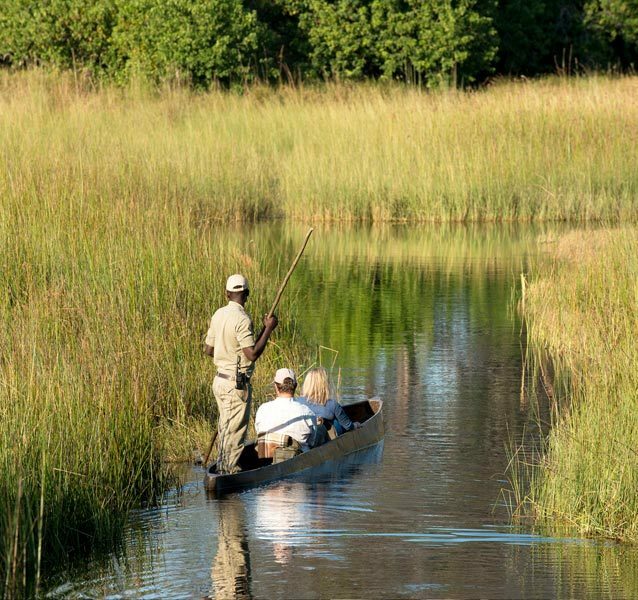 At Moremi you become part of the bustling river life along the papyrus clad banks of the Okavango Delta. 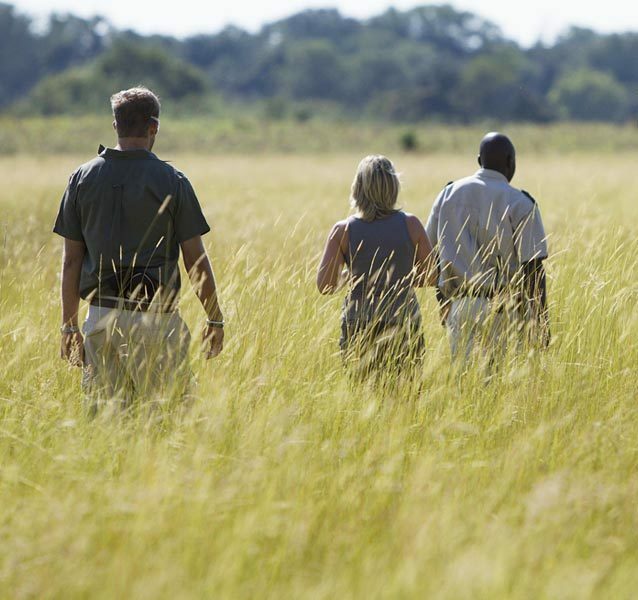 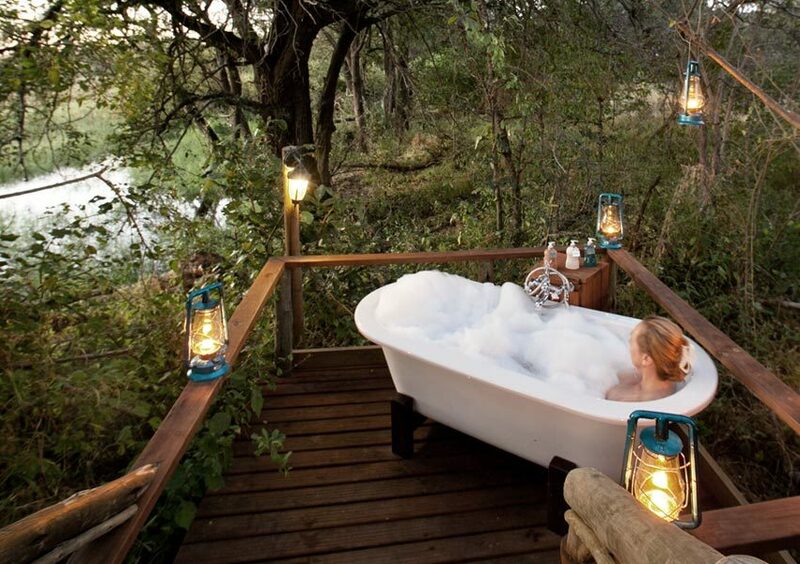 Explore the wilderness with guided bush walks, or sit back and absorb the scenery from a traditional 'mokoro' canoe. 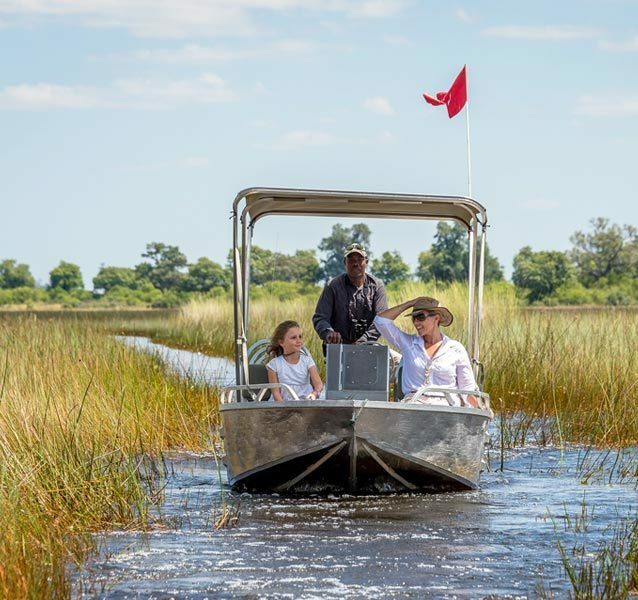 Another great way to explore the crystal clear channels of the Boro River is by motor-boat. 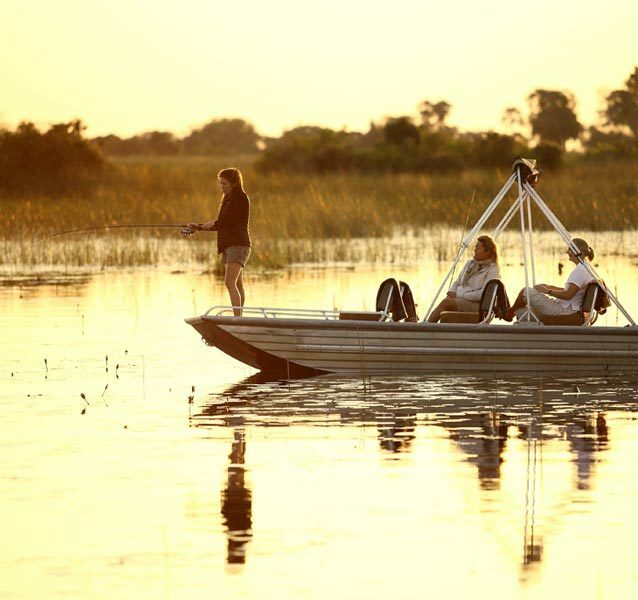 Watch the sun set while drifting along a lagoon and sipping on sundowners. 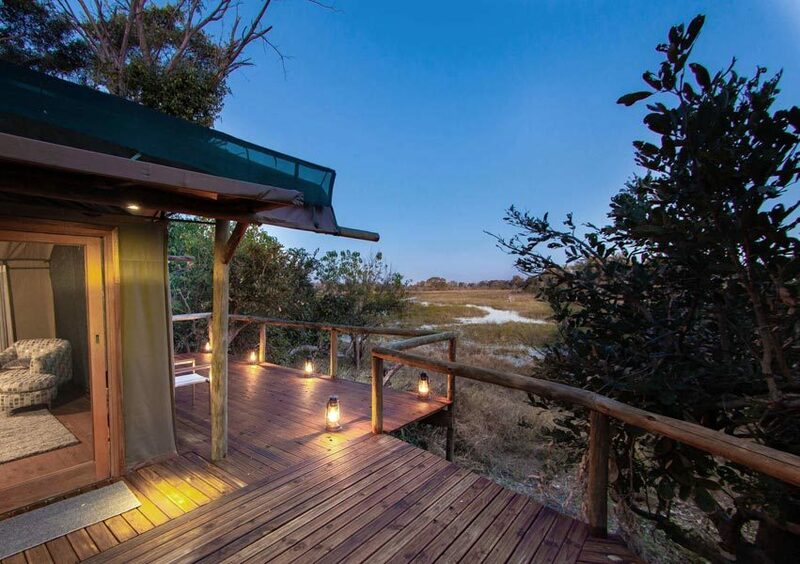 For the adventurous, a rustic island camping experience is also on offer. 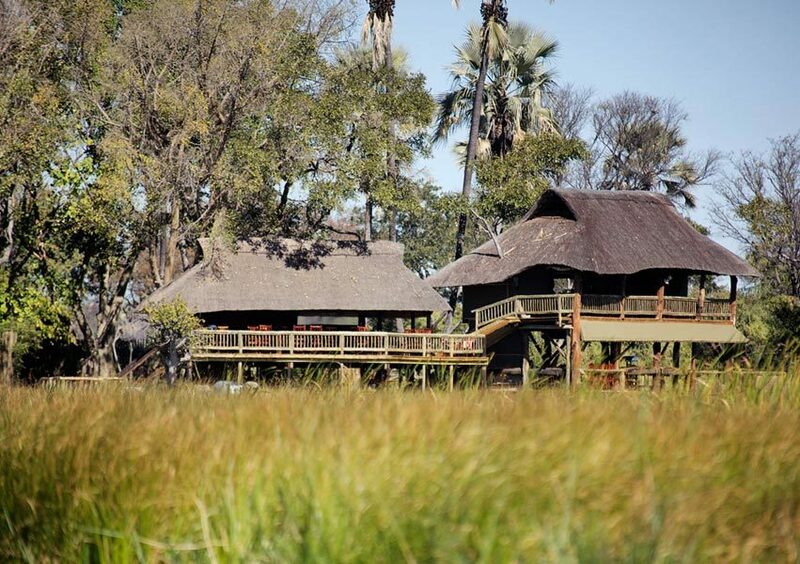 Accommodation at Moremi Crossing consists of 16 en-suite and spacious tents. 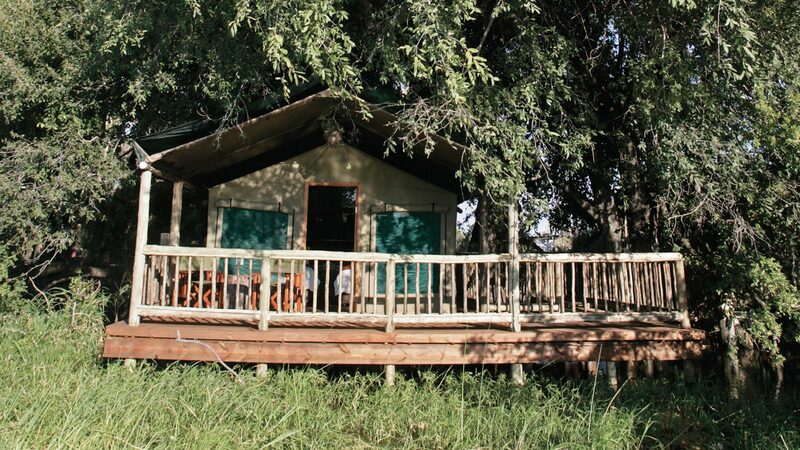 Each tent sits on a raised deck with its veranda overlooking Chief's Island. 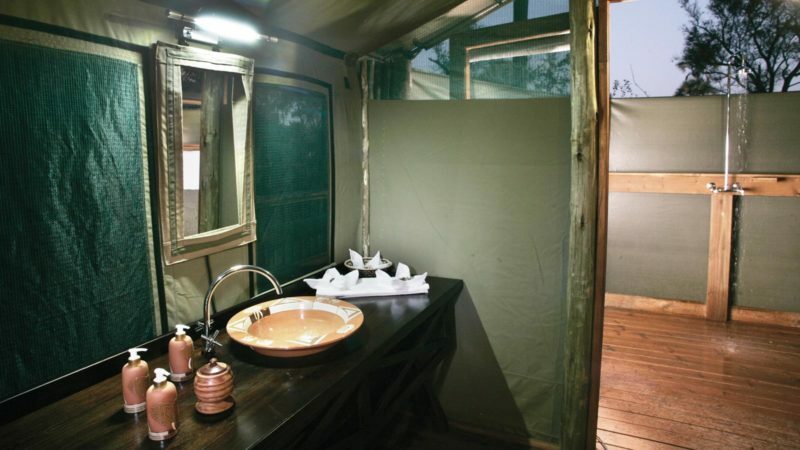 The tents have their own eco-friendly outdoor shower heated by solar power. 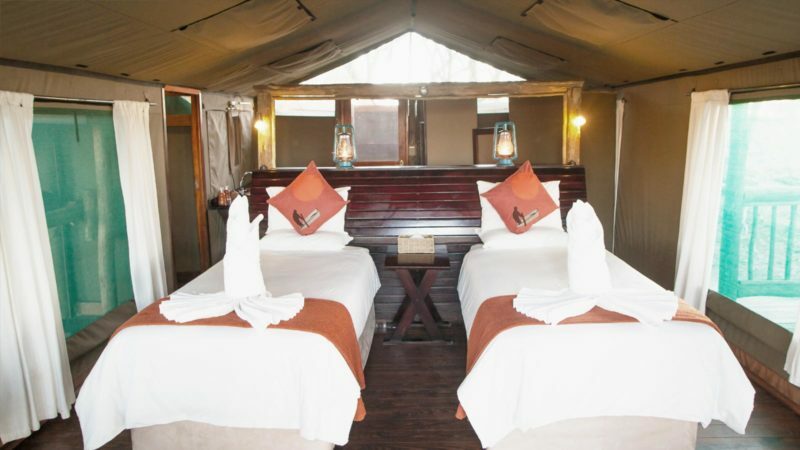 Both a Family tent that can sleep four (2 adults and 2 children) and a Honeymoon tent with an outdoor bath are also available. 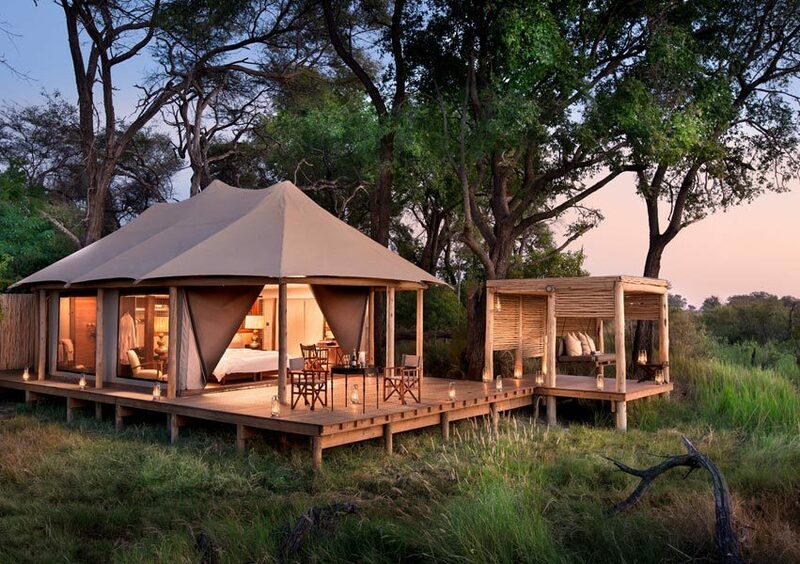 • Rates quoted are for Moremi Crossing tents. 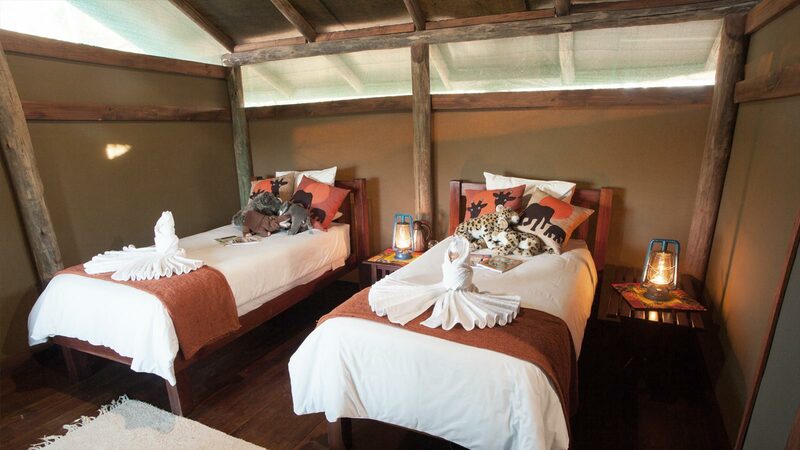 Other room type rates are available on request. 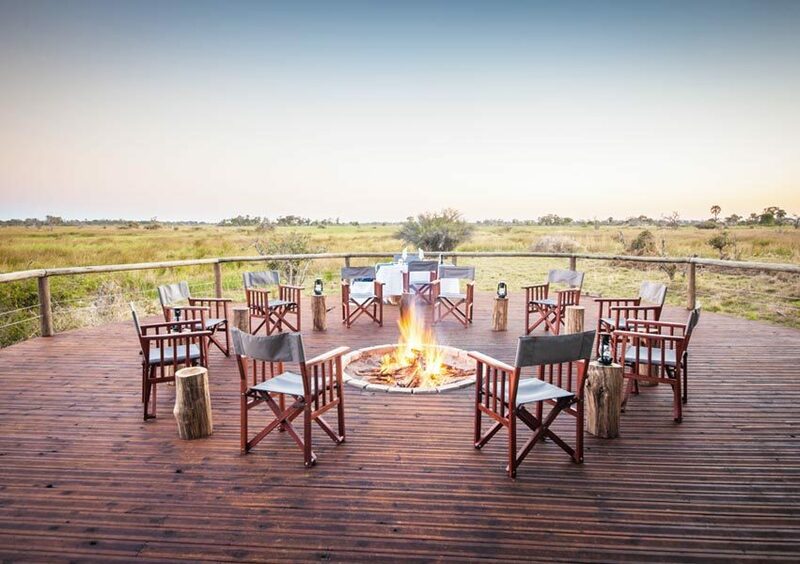 Moremi Crossing Camp, owned by Under One Botswana Sky, has adopted the special unit of the Katchikau primary school in Kasane, which provides love, care and assistance to the 23 children in the unit who are all either physically or mentally challenged. 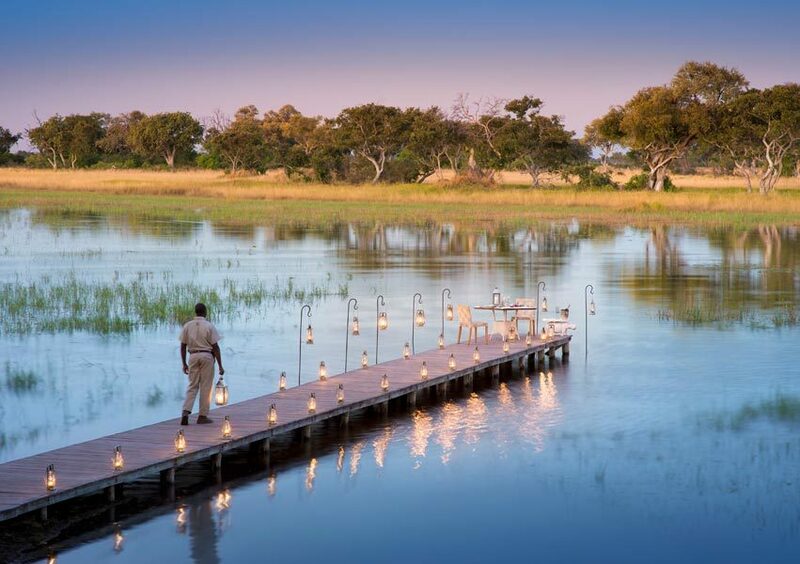 Under One Botswana Sky was motivated by Botswana's vision 2016 pillar of a compassionate and caring nation. 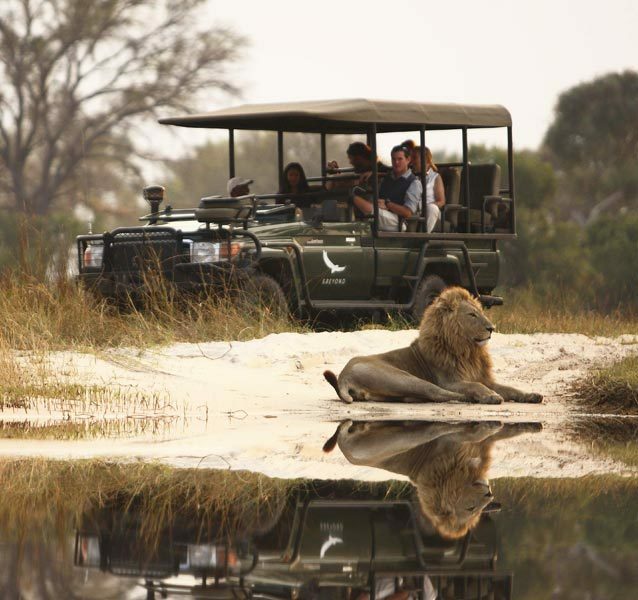 Under One Botswana Sky believe that financial aid is not the only thing that the children need, and that love and affection goes a long way too.